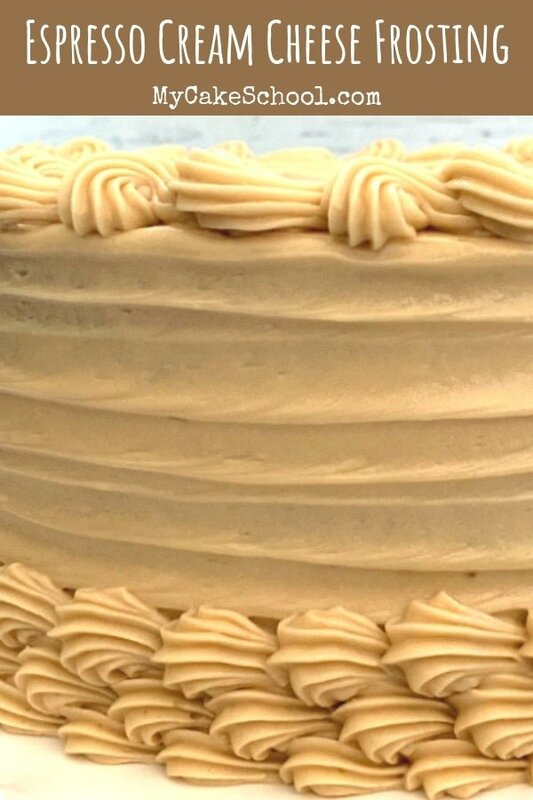 Mmmmmm…..Espresso Cream Cheese Frosting brings together two of my favorite things- can you guess? Espresso and cream cheese! This combination of flavors tastes amazing with so many flavors of cakes & cupcakes, including chocolate, mocha, gingerbread, caramel, and more! We actually created this recipe when working on our Gingerbread Latte Cake! I love all varieties of cream cheese frosting- we have TONS of cream cheese frosting recipes on our site! But this espresso cream cheese frosting may just be a new favorite! Not only do I adore cream cheese recipes and frostings, I also am completely addicted to coffee and all things coffee flavored! So, I would totally eat an entire bowl of this frosting in one sitting if I could get away with it! We based this recipe on a classic Cream Cheese Frosting recipe, with the additional flavor of espresso. All that it takes is just 1 1/2 teaspoon instant espresso granules dissolved into the vanilla extract in our recipe to give it just the right amount of coffee flavor! Cream Cheese frosting should be made with full fat cream cheese. Aside from giving the frosting a better, richer flavor, a low fat or fat-free cream cheese is is a bit too soft. Cream Cheese frostings are a softer consistency but still work perfectly for frosting cakes. If the cream cheese frosting is too soft, you can chill it for a few minutes to firm up the consistency. As with most buttercream and cream cheese recipes, you can also add a bit more confectioner’s sugar as needed. 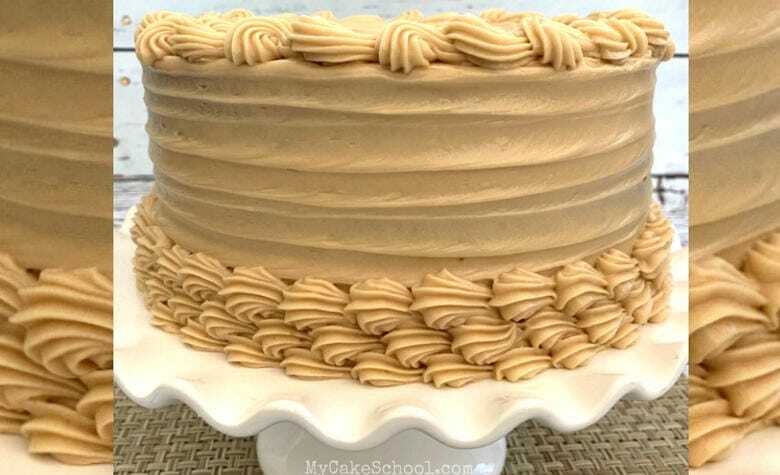 Although the consistency is softer than buttercream frostings, this cream cheese frosting recipe still works great for piping shell borders, ball borders, rosettes, etc. However, it’s not an ideal consistency for all types of flowers- especially flowers whose petals stand on their own either vertically or at an angle that is not supported by petals beneath it. For instance, I wouldn’t try to pipe a classic buttercream rose with this frosting. Cakes frosted with cream cheese frosting should be refrigerated until close to the time of the event. Cream cheese-frosted cakes are not ideal for covering with fondant. This frosting, as with most cream cheese frostings does have a softer consistency. 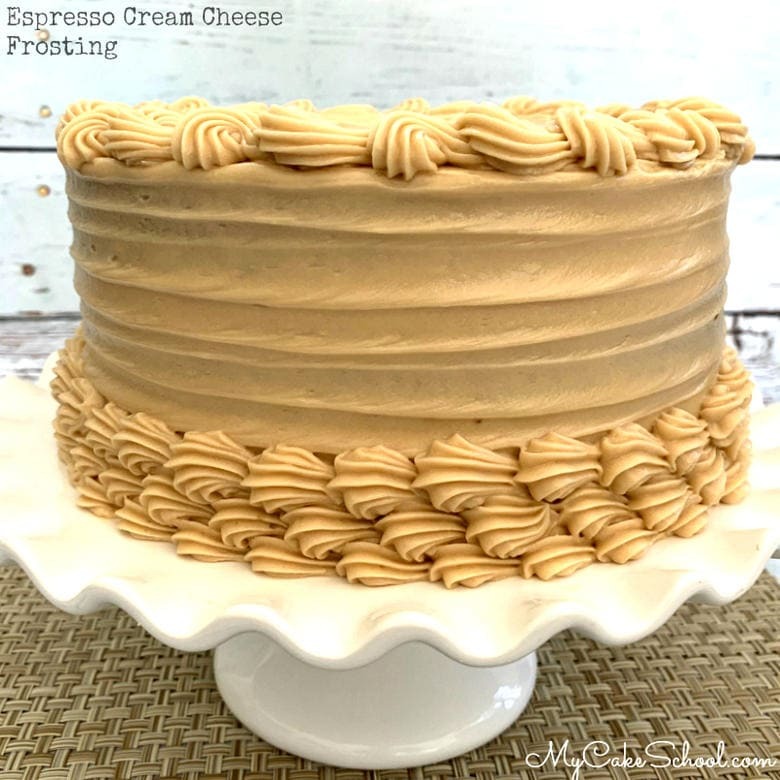 This Espresso Cream Cheese Frosting is so silky smooth and delicious! I wonder if it’s my computer, but I tried to print from your link..nothing happened. But, I can read and make it! No problem, Melissa. I really love your site and I am so glad to be part of the group on Facebook. I am always inspired and dazzled…my cakes are kinda simple compared, so I don’t post too often…although Kelly Moat always encourages me!! Anyway…looking forward to trying this frosting recipe!